Firstly, this is a rare thing in that it is a Booker Prize winner that is readable,but as it is written by Margaret Atwood this is no surprise. I still can't believe she didn't win for "The Hand Maid's Tale". The story revolves around two sisters, Laura Chase, who as a result of the publication of a novel titled "The Blind Assassin" is quiet notorious and her sister the narrator Iris Chase. Iris is now 82 and poor, despite marrying a prominent industrialist at aged 18. She reflects on her life and that of her sister. This narration encompasses the present day and then in memoir form back to their childhood. 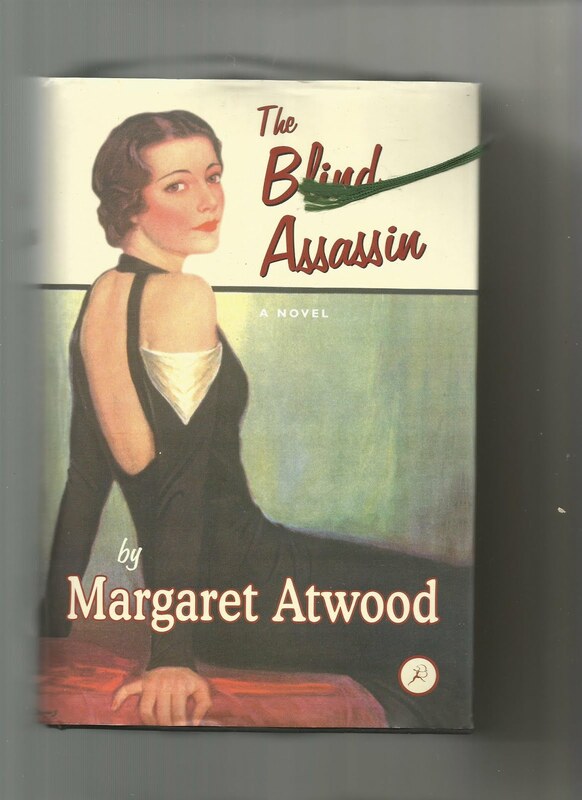 The novel "The Blind Assassin " -"sexually explicit for its time describes a risky affair between a wealthy young woman and a man on the run. During their secret meetings in rented rooms the lovers concoct a pulp fantasy set on Planet Zycron"
So there are three stories told here and they are riveting. Atwood is fantastic, I loved this sentence-"Nothing much was left of her but charred smithereens." You read of things "smashed to smithereens" but rarely read of the smithereens themselves.